dance.net - u12 Janine team costume for sale! (10041628) - Read article: Ballet, Jazz, Modern, Hip Hop, Tap, Irish, Disco, Twirling, Cheer: Photos, Chat, Games, Jobs, Events! u12 Janine team costume for sale! These Design by Janine costumes are for sale. There are 16 costumes in total, 2 of which are boys. All the dancers range between the age of 10 and 13. 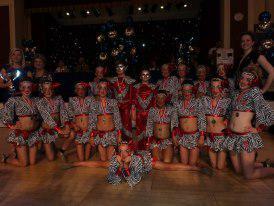 We are asking £90 per costume as they are still amazing condition. National titles won in these costumes. For any more information private message me and i'll get back to you.